Dr. Cox is a 1968 graduate of the University Of Houston College Of Optometry and received the Outstanding Clinician Award. After graduation Dr. Cox served as Captain in the US Air Force at the 27th Tactical Hospital, Clovis, N.M. from 1969-1971 and then entered private practice in 1971 in Nacogdoches, Texas where he established and was appointed Director of the Eye Clinic and member of the Medical staff at Rusk State Hospital, Rusk, Texas. In 1987, he began a private practice in Ruidoso, New Mexico and while there was a member of the Lincoln County Medical Center Staff, Eye Consultant to Fort Stanton State Hospital and Sierra Blanca Camp Prison Facility. He has served on the advisory board for the State of Texas Commission for the Blind and Beacon Last Vision. 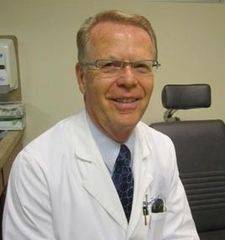 Dr. Cox served on the Board of Directors of the Texas Optometric Association, the New Mexico Optometric Association and was examiner for the New Mexico State Board of Optometry. In 2002 he accepted a position on the faculty of Texas Tech University Health Sciences Center-El Paso where he was appointed Medical Director of the Division of Ophthalmology. While at Texas Tech UHSC-El Paso he participated in 120 hours of Faculty Development Training, developed the Division of Ophthalmology, taught Internal Medicine, Family Medicine and Emergency Department residents and was a staff member of R.E. Thomason General Hospital. He is an adjunct associate professor at the University Of Houston College Of Optometry and adjunct assistant professor at the InterAmerican University of Puerto Rico School of Optometry. In 2009, Dr. Cox became a member of the Department of Family and Community Medicine at William Beaumont Army Medical Center, Ft. Bliss, Texas but returned to Nacogdoches where he lives and presently practices at the TSO, in Nacogdoches, TX. Dr. Cox presents continuing education courses and lectures throughout the country. He is a Fellow of the American Academy of Optometry and a Fellow of the College of Optometrists in Vision Development. Dr. Cox and his wife Susie have six children and 5 grandchildren.